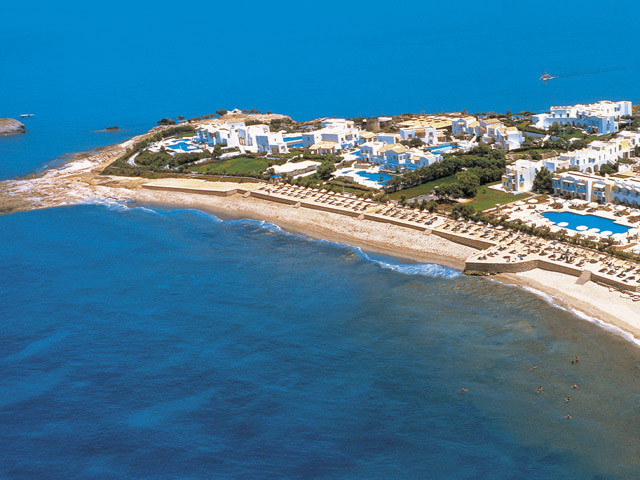 Aldemar Cretan Village with its traditional and white-washed Greek architecture. 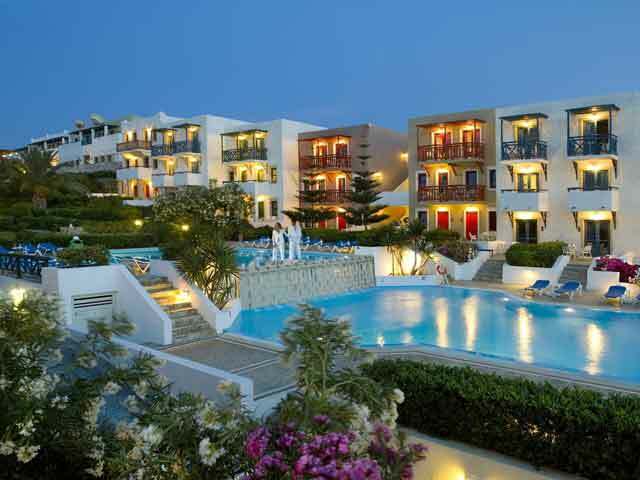 Situated beside the beautiful golden beach of Anissaras, its two-storey houses provide comfortable accommodation, while activities include watersports, mini-golf and a varied entertainment programme. Moreover, entertainment is provided to our little guests at the childrens club featuring various activities and a playground, while supervised by trained professionals. This accommodation is a 5-minute walk from the beach. 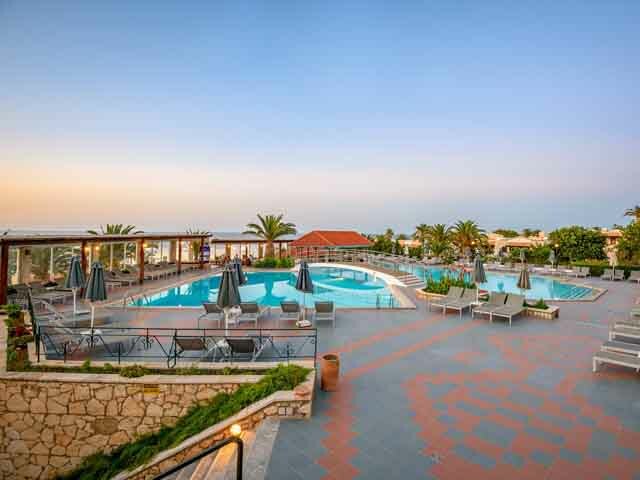 Situated on the beach of Anissaras, only 2 km Hersonissos, this rustic-style resort offers joy to the whole family, to the water sports center and to its private beach. This family room features a sofa, minibar and garden view. This double room has a sofa, air conditioning and a minibar. All VIP bungalows have a sea front view, feature a double bed or two twin beds. All family rooms have a garden view and feature a double bed or two twin beds and two sofa beds as well. All family rooms have a sea view and feature a double bed or two twin beds and two sofa beds as well. Family apartments have a garden view and feature one bedroom, one bedroom-sitting room with two twin sofa beds separated by connecting door. Family apartments have a sea view and feature one bedroom, one bedroom-sitting room with two twin sofa beds separated by connecting door. Free WIFI Internet access and a furnished balcony or veranda. Veranda, for instance - the main restaurant - is famous for its Cretan specialities and cooking demonstrations. A nice corner for friends and families to relax and eat a choice of seasonal dishes where is offered at Snack Restaurant Dionyssos. 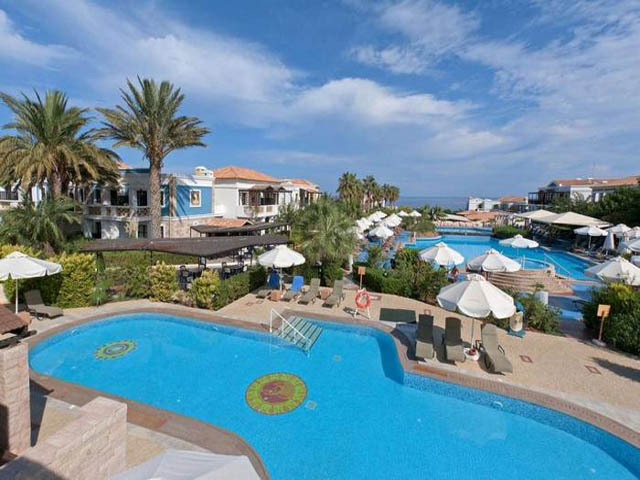 On the edge of the sea, is Thalassa Restaurant, with seafood and Mediterranean cuisine..